i bumped into a blog post of Ms Patty yesterday and it made me thinking whether i should or should not join. 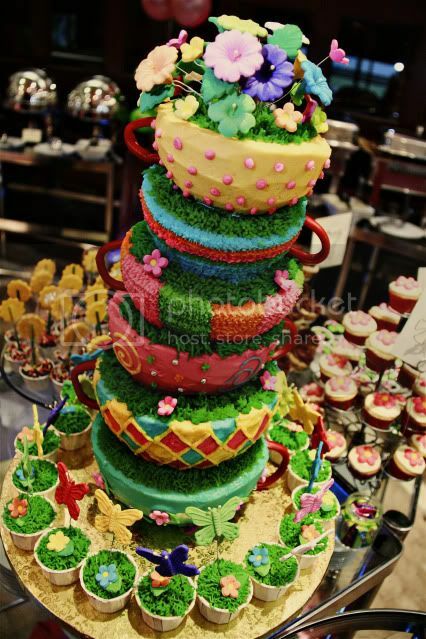 but as soon as i learned that she will be giving away a cake for the prize, sus, sali na agad! -my sister ruth. she love cakes( heck all of us love cakes hehe) and she is sick right now( cant blame you kung iisipin mo na paawa effect lang to para manalo.. madalas kasi gawin yan sa noon-time shows =) .. ). honestly, we never saw it coming, 3 weeks ago they had this general medical check-up conducted by their company. regular na physical exams, xrays etc. tapos nagulat na lang sya noong sinabihan siya ng doktor na meron daw nakitang sakit. it was quite serious as she was forced to go on leave for a month for some rest and medication. what makes it difficult now is that she wouldnt want others to know about her sickness, not even our parents in the province. she is the type that would keep problems all to herself. she doesnt want others to worry(kahit mga high school friends niya na kasama niya pa din ngayon). she is secretive that way. she wouldnt want others to know when she is hurting, especially to our parents. gusto niya positive lang. minsan naawa ako dahil hindi niya nakukuha yon support system na deserve at kailangan niya lalo na sa pinagdadaanan niya ngayon( though naiintindihan ko partly lalo na yon sa parents namin kasi tumatanda na din sila(60s) at ayaw niya na may pnproblema pa sila mabigat). as much as i want them to know( especially our parents), i cant because it might just cause my sister more stress. and her sickness is too much of a stress already. but as per her check-up last week, her doctor said if she continues to recuperate well, she can go back to her office job sooner than later. though she needs to continue her medication for 6 months to avoid relapse. a cake would definitely lighten things up especially( my sweet cravings… joke lang) her take on her sickness. *pero ok lang naman siguro na humingi ako kahit isang slice =) ..ako naman ang personal chef, nurse niya ngayon at paborito ko din ang cakes. hehe. Aww… Get well soon sis! That cake could surely cheer up anyone. Lol, this is Gay by the way. I’m logged in my abandoned WordPress account. it is really nice but i have yet to taste it. though from the looks of it, it must taste really good.